Story: A world-famous soccer coach has been murdered and his priceless ring has been stolen - a ring set with the stunning diamond known as the Pink Panther. The French government needs a master detective to solve the crime and recover the gem...but he's not available, so they recruit Inspector Jacques Clouseau. 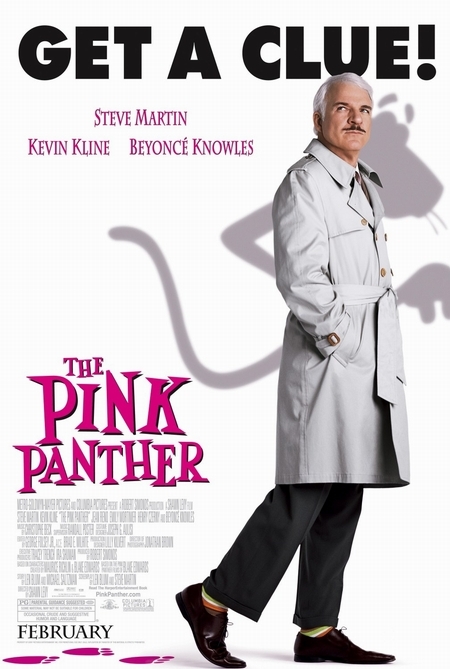 Comic superstar Steve Martin stars as Clouseau in an all-new adventure of THE PINK PANTHER. A stunning pop star (Beyonce), a soccer player, a Chinese assassin - who committed the crime? And can anyone solve the case? Clouseau and his partner, Ponton (Reno), must unmask the murderer and keep their boss, Dreyfus (Kline), from taking credit for the victory, all without bringing the French legal system to a screeching halt. Get ready to be tickled pink.